In “Art and Objecthood,” Michael Fried discussed the “literalist” and the “theatrical” aspects of Minimalism. Over thirty years later, Rita McBride comes forth as if she had spontaneously engaged these objections and, with a lightly ironic undertone, taken them as her point of departure in works whose form often literally corresponds to industrial materials. 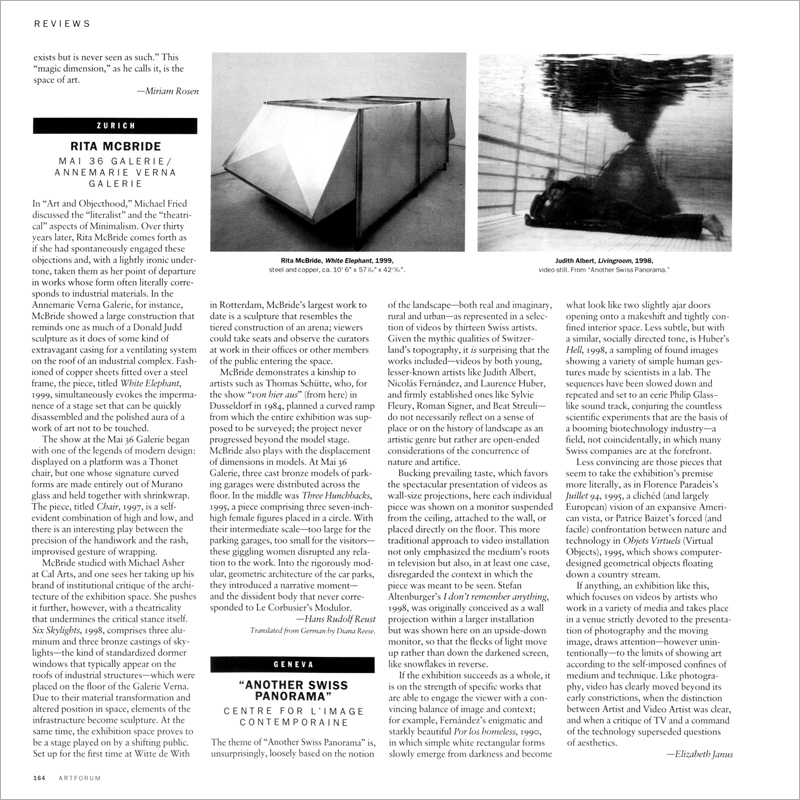 In the Annemarie Verna Galerie, for instance, McBride showed a large construction that reminds one as much of a Donald Judd sculpture as it does of some kind of extravagant casing for a ventilating system on the roof of an industrial complex.